Since it is the educational purpose of a school to provide an orderly learning environment, discipline is an integral part of our program. Discipline is an integration of character, education, and Christian social living. It is an honor and privilege to attend St. Francis Xavier School. Students are expected to conduct themselves in a manner reflecting a sense of responsibility, good citizenship, and consideration of the rights of others. St. Francis Xavier faculty and staff partner with parents in their child’s education. Parents will be notified of concerns about student life and behavior, even when off campus. All students are expected to abide by the schoolwide rules and are 100% responsible for their own behavior. 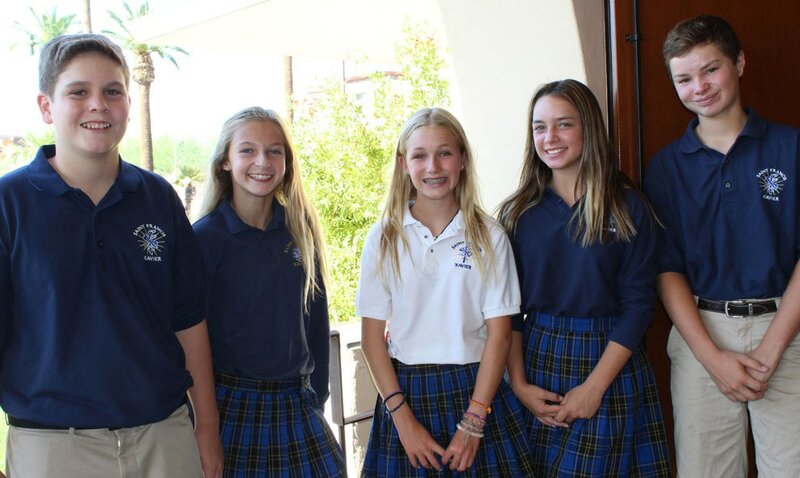 The rules of St. Francis Xavier School apply to all students when on the school grounds and on the Brophy College Preparatory campus, Xavier College Preparatory campus, or on the St. Francis Xavier Church property. Students should refrain from all forms of inappropriate behavior. If a student has been warned of any such behavior, he or she should cease the behavior. Consequences result when the rules are not followed. The classroom teacher generally handles discipline problems and consequences are based on grade level standards. St. Francis Xavier utilizes a developmental approach to teaching self-discipline called Discipline with Purpose. Teachers formally teach, model, and reinforce 15 self-directing skills that promote an objective standard of personal behavior. The DWP program emphasizes the following fifteen skills. The school rules adopted by St. Francis Xavier reflect the self-discipline skills and protect the rights of individuals while limiting destructive behavior.